With the Toronto Maple Leafs inking Auston Matthews to a five-year, $58.17-million contract extension ($11.634 million annual average value), their focus shifts toward getting Mitch Marner re-signed before July 1. A restricted free agent this summer, Marner could become an attractive target for an offer sheet from a rival club. He and the Leafs agreed to postpone contract negotiations until the end of the season and it’s a good bet they’ll try to get him signed as quickly as possible. Toronto Maple Leafs forward Mitch Marner is poised to land a significant pay raise following this season (Photo via NHL Images). In my analysis of the Matthews deal, I speculated Marner’s new contract could cost the Leafs around $11 million annually on a long-term deal of six-to-eight years. Some readers scoffed at that notion. Several suggested he wasn’t worth more than $9 million annually, believing it wouldn’t be right for Marner to get more than Tampa Bay’s Nikita Kucherov ($9.5 million per starting in 2019-20) or Dallas’ Tyler Seguin ($9.85 million). I’m willing to concede that maybe Marner might accept an annual cap hit of between $10- million to $10.5 million on a front-loaded eight-year deal whereby, like Matthews, the bulk of his salary is paid as a signing bonus every July 1. However, I don’t believe he’ll accept less than $10 million per. 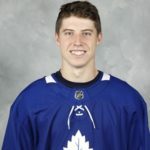 First of all, as Marner’s agent recently stated, his client won’t accept any hometown discounts. Not after seeing Matthews and William Nylander getting lucrative new contracts this season. There’s no justification for the Leafs to low-ball Marner or force him to accept less than market value. He tallied 61 points as a rookie, led the Leafs with 69 points last season and is currently their leading scorer with 66 points in 54 games. Had Matthews not been sidelined by shoulder injuries the last two seasons, he probably would have been the Leafs’ leading scorer. Still, that doesn’t detract from Marner’s steady improvement as a scoring star or his value to the Leafs as one of their core players. As of Feb. 9, Marner sat tenth among the league’s top-10 scorers. Indeed, he’s been in the top-10 for most of the season. He’s on pace to reach 100 points, which would make him the first Leaf to reach that milestone since Doug Gilmour (111 points) in 1993-94. You don’t look at that type of point producer and beg him to take a discount. As for the comparisons to Kucherov and Seguin, Marner’s already out-pointed them at this stage in his career compared to where they were at the same period. Kucherov had 149 points in his first three NHL seasons (18, 65, 66) while Seguin had 121 (22, 67, 32). Granted, Seguin’s third season came during the last lockout, but even if we’re being generous and assume he’d reach 60 points had he played a full regular season, he’d still fall short of the 195 points Marner’s already accumulated. The argument can be made that the game is now more favorable toward offensive players than it was for Kucherov and Seguin earlier in their respective careers. That’s as may be, but it doesn’t negate the fact Marner has thrived in the NHL much sooner than expected. And let’s not forget the tax implications. Kucherov and Seguin play in cities where there is no state tax. That’s not the case for Marner living and working in the province of Ontario. Once those provincial taxes are deducted, he could end up taking home less than Kucherov and Seguin if he accepts less than $10 million annually on his next contract. Some Toronto fans and pundits could beg Marner to accept less to save their club from a coming salary-cap crunch. However, management could’ve avoided that problem had they not invested over $6 million per season in an aging Patrick Marleau or $11 million annually on John Tavares for seven seasons or over $4.5 million annually on a long-term deal for defenseman Nikita Zaitsev. Marner deserves almost as much as Matthews. He’s an indispensable, durable player who is as responsible for the Leafs’ dramatic rise over the past three years as Matthews, Nylander, Tavares, and anyone else among their core players. Marner is going to get paid. A lot. And it’s probably going to be north of $10 million annually. If the Leafs won’t pay that much, another club happily will with an offer sheet, perhaps with an amount the Leafs, despite their bluster, might be unable to match. The joint decision by the NHL and NHL Players Association not to stage a World Cup of Hockey in September 2020 hasn’t dampened the notion of the two sides avoiding another lockout. During the recent All-Star break, league commissioner Gary Bettman and NHLPA representative Mathieu Schneider seemed to be singing from the same songbook regarding their labor relations. Bettman once again said he wasn’t looking for a fight with the players while Schneider remarked on the absence of tensions between the two sides. In a recent interview with ESPN.com, NHLPA executive director Donald Fehr said the players weren’t seeking a confrontation with the owners. He also reminded us, however, that discussions regarding a new collective bargaining agreement remain in the preliminary stages. NHL fans and those of us who cover the league for a living feel cautiously optimistic over the warmer tone between the league and the PA. After experiencing a player strike and three lockouts since 1992, another labor war is something everyone, including the league and PA, seem keen to avoid. That being said, and as more than one pundit has observed, there’s plenty of time for things to go off the rails. This summer should provide the earliest indication of whether another work stoppage can be avoided. In September, each side gets an opportunity to opt-out of the current CBA, with the league getting first crack on September 1 and the PA on Sept. 19. If one or the other chooses the early out, the CBA will expire on Sept. 15, 2020. Labor uncertainty will generate an inevitable cloud of dread hanging over next season that both sides undoubtedly prefer to avoid. If they’re unable to reach an agreement on a new deal by this September, they could decide to kick the can down the road to September 2022, when the current agreement will officially terminate, using that time to continue working toward a new deal. The two sides could also reach an agreement before this fall, perhaps leading toward its implementant next September. Most pundits feel the issues facing both sides this time around aren’t as contentions as in the past, certainly not worth another work stoppage. Still, they have the potential to increase tensions as discussions intensify. The Athletic’s Katie Strang (subscription required) believes the players could be seeking gains this time around after making significant concessions during the last two lockouts. Escrow, of course, is the main issue for the players but it won’t be easy to remedy. Last November, the New York Post’s Larry Brooks noted one way could be to remove long-term injury reserve from counting against the cap, but that would affect the current 50-50 split between the two sides. Strang also reported the players could seek improved health care for current and former players, or ask the league to perhaps contribute a portion of hockey-related revenue toward the players’ pension fund. Olympic participation could also be on the players’ agenda. The biggest factor, of course, is the distribution of hockey-related revenue. If either side attempts to shift the current split in their own favor, Strang believes the gloves will be off. As long as the two sides maintain their current 50-50 split of HRR and if a method can be found to reduce the bite of escrow from players’ salaries, everything else could fall into place within a reasonable period. Those negotiations, however, probably won’t get serious until this summer. That’s when we’ll know for certain if all these reports of potential labor peace will come to fruition. Something that really pisses me off as a hockey fan is watching a once-proud franchise being run into the ground by mismanagement or ownership indifference. So you can imagine my disgust over what the Edmonton Oilers have become under Daryl Katz’s ownership. To be fair, the Oilers’ glory days were already well behind them before Katz took over. But in his decade of ownership, they’ve jumped the track, crashed over an embankment and exploded into a fireball of blunders. In the days following last week’s firing of general manager Peter Chiarelli last week, pundits were already speculating about his full-time replacement while offering suggestions on how to improve the roster. None of that will matter, however, if instability persists in the front office and behind the bench. 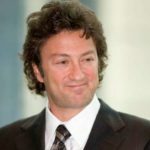 Edmonton Oilers owner Daryl Katz. In 11 seasons under Katz, the Oilers went through eight head coaches and four general managers. Among the coaches were respected bench bosses like Pat Quinn, Tom Renney, and Todd McLellan. They did their best with the rosters provided to them. Management impatience and incompetence, however, did in most of them before they had a reasonable chance to make any sort of positive imprint. Following their sputtering start to this season, Ken Hitchcock was lured out of retirement in November to replace McLellan as a stopgap measure to get them back on track. For while, it worked, until their roster weaknesses caught up with them despite Hitchcock’s efforts. Fortunately for Hitchcock, his reputation among the league’s greatest coaches won’t be too badly tarnished by what could be his brief tenure with the Oilers. The widely-hailed hirings of former Hockey Canada honcho Bob Nicholson as team CEO and Peter Chiarelli as GM was supposed to end the Oilers’ culture of losing while removing the supposed influence of an old boys network of former Oilers. Chiarelli, who built the Boston Bruins into a Stanley Cup champions, failed to do the same for the Oilers. He deserves the criticism he received for his lousy trades but those deals also had the stamp of approval by his employers. In a press conference following Chiarelli’s firing, Nicholson was trying to be optimistic over the Oilers’ playoff hopes. Most observers instead saw an executive trying to sell hope in a season where little can be found. Something is definitely wrong when respected hockey men end up chewed up and spat out, some with their reputations in tatters, while the team remains mired in mediocrity. The Oilers’ ongoing follies could soon take its toll upon the long-suffering fanbase. Perhaps a drop in season-ticket sales might spur Katz into reconsidering how he and his staff are running this franchise. There’s also dark mutterings among some fans and pundits suggesting the Oilers are wasting the best years of McDavid’s career. McDavid is currently in the first season of a new contract that runs through 2025-26. So far, the young Oilers captain is expressing defiance of his team’s critics. He’s defended his teammates, believes they can still make the playoffs and wants to be part of the solution. But if the Oilers fail to turn things around it could eventually take its toll on McDavid, perhaps to the point where he reconsiders his long-term future in Edmonton. The Oilers are expected to announce a long-term replacement for Chiarelli in the offseason. They could also end up replacing Hitchcock if the new GM wants his own guy behind the bench. With the fans growing restless and questions being raised over the future of their franchise player, the Oilers better get it right this time. If they don’t, they will remain the graveyard of careers for coaches, general managers, and perhaps, even the NHL’s best player. In recent weeks, discussions between the NHL and NHL Players Association regarding a possible a World Cup of Hockey tournament in September 2020 prompted speculation the event could become a deadline for a new collective bargaining agreement. NHL and NHLPA agree not to stage a World Cup of Hockey in 2020. Both sides have the option to opt-out of the current agreement this September. It was assumed they would avoid the current CBA expiring while the tournament was taking place. Considering the contentious labor history between the two sides, the possibility of labor peace by September 2020 would be a welcome change. Last week, however, the league and the PA released joint statements announcing it was “no longer realistic” to schedule that tournament next September. Such news would ordinarily suggest more labor trouble on the horizon. However, most observers noted the tone of the statements was rather mild, with both two sides indicated their intention to continue broader discussions. In other words, just because there won’t be a World Cup of Hockey next year doesn’t necessarily mean there won’t be a new CBA in the near future. Since November, various reports have the league and the PA holding ongoing talks regarding a possible CBA extension. NHL commissioner Gary Bettman seems keen to avoid a fourth lockout on his watch, recently telling reporters he’s not looking for a fight with the PA. Fans can be forgiven for their cynicism over Bettman’s comment. As the good folks at the Puck Soup podcast observed, the commissioner said the same thing roughly a year before imposing the season-killing lockout of 2004-05. By most accounts, the league doesn’t have any significant issues worth jeopardizing a season over. Escrow and Olympic participation are hot-button topics for the players but the PA doesn’t sound as militant as it once was. Some pundits have noted a distinct change in tone between the two sides, providing hope that a new collective bargaining agreement can be worked out without another long work stoppage. Time will tell if that’s the case. The current NHL collective bargaining agreement is slated to expire on Sept. 15, 2022. However, the league or the NHL Players Association each have the choice for an early opt-out. The NHL can exercise that option on Sept. 1 and the PA on Sept. 19. If either side takes the early out, the current CBA will expire on Sept. 15, 2020. Can the NHL & NHLPA avoid another lockout? Given the contentious negotiation history between the two sides, it wouldn’t be surprising if there’s another lockout next year. However, there are indications another lengthy labor battle can be avoided. On Nov. 4, 2018, Sportsnet’s Chris Johnston first raised the possibility of labor peace, noting they were already discussing the prospect of staging a World Cup of Hockey tournament in September 2020. He indicated they were also leaning toward talks aimed at avoiding CBA negotiations at that time, depending on whether one or the other votes to opt out of the current agreement. Johnston cited colleague Elliotte Friedman indicating the league needed to know by January 2019 if staging that tournament next September was doable. Since then, there’s a belief the league has set the upcoming All-Star weekend in San Jose (Jan 25-26) as a deadline. TSN insider Pierre LeBrun, in a recent column for The Athletic (subscription required), also reported the two sides would meet this week to discuss the World Cup. He wondered if those talks might pave the way toward a new CBA. According to the New York Post’s Larry Brooks, the league is doing everything it can to avoid another lockout. In his Nov. 17, 2018 column, he cited sources claiming league commissioner Gary Bettman, who already has three lockouts on his resume, isn’t keen to add a fourth. Brooks also said there was no indication at that point in time suggesting the league’s more hawkish team owners would try to push Bettman into another hardline approach with the PA. He added the atmosphere between the two sides is much less contentious compared to previous CBA talks, suggesting there is a reason for optimism as the two sides continued preliminary talks. On Saturday, Chris Johnston reported there’s a meeting planned in Toronto later this week between the two sides. Unlike previous CBA negotiations, Johnston said there isn’t a fundamental issue that justifies another lengthy work stoppage. While smaller issues persist, he feels they’re not worth fighting about. There’s some disagreement over whether escrow will be a significant issue. Last Saturday, Sportsnet’s Nick Kypreos said escrow relief was a priority for the players. But in his column in November, Brooks reported escrow doesn’t appear the significant driving force for the players as it once was. Brooks noted the players began this season with 11.5 percent clawed back from their pay but the league informed them to expect a postseason refund of 8 percent. Instead, the PA could seek a change in the way long-term injury payments are calculated into the salary cap. Under the current system, the players bear the cost and subsidize the league when other players go on LTIR. If that was eliminated, Brooks said it would reduce escrow and also slightly tilt the 50-50 revenue split. He felt the league will want something significant in return, such as perhaps a redefinition of hockey-related revenue to benefit the teams. But in an interview last week with Sportsnet’s Bob McCown and John Shannon, player agent Allan Walsh insisted escrow remains the player’s primary issue. While they aren’t happy about the high rates currently withheld from their salaries, Walsh said there are formulas that could provide some flexibility to reduce the escrow burden to a level the players could accept. Whether the league agrees to a reduced escrow rate or a revised LTIR payment system, they’ll still want something from the PA in return. Perhaps, as ESPN.com’s Greg Wyshynski wrote last week, it might be reduced term limits on player contracts. Under the current CBA, re-signed players are limited to eight-year deals and unrestricted free agents to seven years. Wyshynski pointed out the league attempted to get seven-year limits on re-signed players and five years for UFAs during the last round of collective bargaining. Acknowledging the players’ hatred of escrow, Wyshynski cautioned against giving up long-term contracts. If they do, he fears they’ll never get it back. Not everyone is pleased with the prospect of linking CBA negotiations with a deadline for an agreement on the next World Cup of Hockey. Last Thursday, TSN’s Frank Seravalli reported player agent Anton Thun believes the PA shouldn’t be negotiating a new CBA at this time. He also said he hadn’t heard from his clients if NHLPA director Donald Fehr had any mandate from the players to engage in extension talks. With a high number of younger talent making an impact upon the league, Thun feels there could be a significant shift upon the league’s economic landscape within the next 12 months as those players start becoming eligible for new contracts. He feels the PA shouldn’t be extending the CBA until those effects are fully understood. Things could get ugly between Fehr and the players if he and his staff are pressing on with CBA extension talks without the approval of the PA membership. However, it seems unlikely he’d engage in such discussions without their blessing. At this point, everything’s in the preliminary stage. Fehr could have authority for exploratory talks with the understanding that official negotiations with the league will need the players’ consent. As Seravalli observed, mandate or not, the PA and the league appear to be well along with preliminary discussions. On Saturday, Sportsnet’s Chris Johnston reported there’s a meeting planned in Toronto later this week between the two sides. While the pundits caution that these are merely early discussions, all are striking an optimistic chord. Some are daring to dream of a new collective bargaining agreement without a lengthy labor battle to get it. If the NHL and NHLPA agree to stage the next World Cup of Hockey in September 2020, it’ll be the best early indication that a new CBA could be hammered out before then. At the very least, it’ll mean neither side will take their early opt-outs this fall, ensuring the current agreement runs its course to September 2022. Will McDavid Complete His Contract With the Oilers? The Edmonton Oilers are not in a good place right now. Despite the presence of superstar center Connor McDavid, the Oilers entered the first full week of 2019 having lost eight of their last 10 games. As of Jan. 5, they sat four points out of a wild-card berth in the Western Conference. So far, the Oilers have done a lousy job providing McDavid – the NHL’s best player – with a suitable supporting cast. The fact they’re even within striking distance of a playoff berth is due to his efforts. Without their 21-year-old captain, they’re jockeying with the bottom feeders to win the Jack Hughes sweepstakes in the 2019 NHL Draft Lottery. Since last season, the Oilers’ struggles prompted some observers to wonder if they risk wasting McDavid’s best years. Toronto Star columnist and TSN contributor Bruce Arthur was the latest to weigh in on this problem. McDavid, of course, is a team player who really wants to help the Oilers return to Stanley Cup glory. Demanding a trade probably hasn’t entered his mind. Nevertheless, Arthur’s comment raises some interesting questions. At what stage would McDavid entertain the notion of a trade? 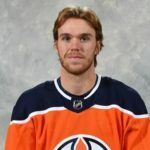 If management, be it current GM Chiarelli or his successor, fails to significantly improve the Oilers, would McDavid request a trade before his contract expires? When Arthur called the Oilers “a stinking franchise”, he wasn’t slamming the city of Edmonton or Oilers fans. He’s referring to how poorly they’ve been managed for the past decade. Nearing the halfway point of this season, there’s little sign of improvement. McDavid, meanwhile, is a former Hart Trophy winner and two-time winner of the Art Ross Trophy as the league’s scoring leader and of the Ted Lindsay Award as the league’s top player as voted by the players. With 23 goals and 61 points in 40 games, McDavid is the Oilers’ leading scorer and entered this week sitting fifth among the NHL scoring leaders. At his current pace, he’s within range of a career-best 50 goal, 130-point performance. McDavid is also in the first year of an eight-year contract, giving management until 2026 – when he becomes eligible for unrestricted free agent status – to build a contender around him. Most observers will consider a McDavid trade before the expiration of his contract a remote possibility. In response to Arthur’s comments, some cited Hall-of-Famers like Mario Lemieux and Steve Yzerman as examples of superstars sticking with their teams despite lean early years and eventually being rewarded for their loyalty with Stanley Cup glory. Lemieux and Yzerman, however, played for teams whose management eventually surrounded them with quality talent. The same cannot be said right now for the Oilers and McDavid. Perhaps like Lemieux and Yzerman, McDavid’s loyalty will be rewarded in time. But what if it isn’t? What if the Oilers fail to develop into a Cup contender? What if, in three or four years, McDavid realizes he’s wasting his time and talent on a perennially mediocre franchise? What if he wants to join a contender while he’s still in his prime playing years? If so, what would be the asking price for the league’s best player? We discussed this during last week’s Face Off Hockey Show. The last time the best player in the league was traded while still in his prime was Wayne Gretzky in 1988 when he was shipped by the Oilers to the Los Angeles Kings in a multi-player deal. Taking into account how much the league has changed since the Gretzky trade, including the implementation of the salary cap, we guessed the Oilers’ asking price would be a first-line center, a top-four defenseman, one to two first-round draft picks and one or two top prospects. To ensure the best possible return, we also suggested trading McDavid before his no-movement clause kicks in on July 1, 2022. That allows the Oilers to send him wherever they wish without his approval, assuming they’re willing to be that coldblooded or McDavid doesn’t care where he goes. All of this, of course, is mere speculation on our part. Feel free to pitch your hypothetical trade proposals in the comments section below. For now, there’s no indication McDavid wants out of Edmonton. He’ll probably remain the good soldier like John Tavares was with the New York Islanders. Tavares spent nine years with the Isles but had little to show for his efforts and finally departed via free agency to Toronto last summer. McDavid could also opt for greener pastures when his contract expires. The longer the Oilers remain “a stinking franchise,” the more questions will be raised about McDavid’s future in Edmonton.